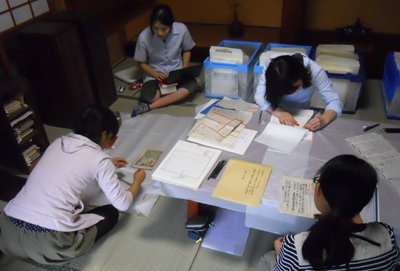 The household unit was the basic unit that comprised many social status groups in early modern Japan. These household units were intended to be succeeded directly and permanently from father to son regardless of the unit’s social status. For example, the household unit was the basic unit of the political powers which were ruling Japan at the time, such as the Tokugawa shogunate and domains. However, unlike peasant and merchant household units, samurai ones were united vertically, together forming the “family” of the lord. Therefore, the continuance of a vassal’s household unit not only was a private matter of that family and its relatives, but also important for the stable operation of a power structure. I study issues relating to these samurai’s household units by examining the vassals of domains. In particular, I focus on the various activities which arise around household units?specifically, policies of lords and vassals’ activities?and analyze the structure of samurai society in early modern Japan. This research not only deeply analyzes the history of samurai, but also contributes to elucidating the structure of overall society at the time. Furthermore, this is also research for understanding modern Japanese society, as the Meiji government utilized the samurai household unit as a model for the family system, which became a foundation of the nation-state. A letter of a lord awarding territory to a vassal in 1865(the red writing was written in the Meiji era, and indicates the end of the shogunate-domain system). Surveying old manuscripts (photographed by the author in September 2013).